Traumatic brain injuries (TBI’s) are a hot topic. Unfortunately, they’re much more common than most people realize—they are not just limited to sports. 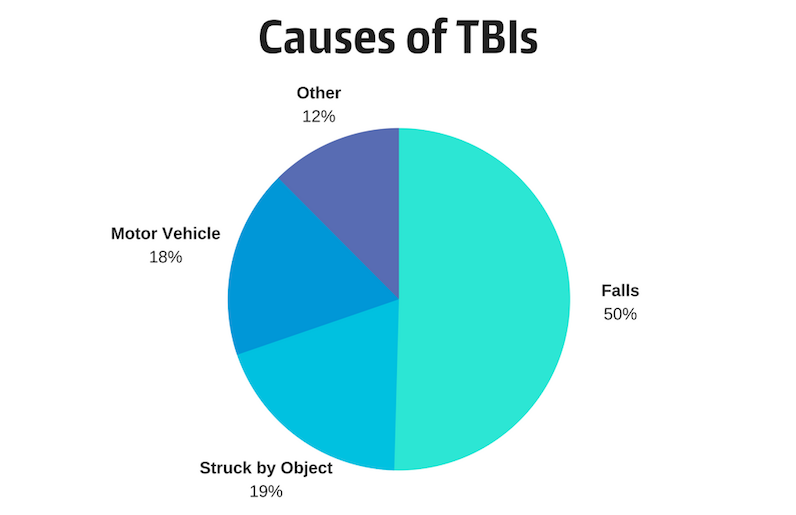 A TBI is an injury to the brain that caused by a blow or jolt to the head. Over 2.5 million adults & children sustain a TBI every year1. In 2013 alone, about 2.8 million people were treated for a TBI in emergency rooms across the country2. sustain other normal brain functions. In the most extreme cases, TBI can even lead to death. The link between nutrition and head injuries is not immediately obvious. After all, what does your diet have to do with a TBI? As it turns out, a lot. You can relate these two issues by two potenial factors. According to researchers, the modern brain suffers from a syndrome referred to as Diminished Brain Resilience Syndrome (DBR). Across the population, there is a noticeable rise in concussions, TBI’s, and other related neurological disorders. Alongside this problem is the new theory of Diminished Brain Resilience Syndrome. DBR is the idea that our brains have become more susceptible to mild brain trauma. Researchers think is due in part to our lifestyle choices and the environmental factors that we’re exposed to. Overall diminished nutrients in our current food supply. Our brain relies on a constant supply of glucose and essential nutrients for effective functioning. Although we consume enough food on a daily basis, most of us aren’t getting the nutrients that we need. Our ancestor’s diets likely included much more fish, seafood, and greens, leading to a healthy 4:1 omega-6 to omega-3 ratio. Today, the typical American diet ratio is closer to 22:1. According to many studies, most of us are now deficient in omega-3s4. Nutrients like vitamin A, C, and D have an important role to play in our brain health. But, the star of the show is docosahexaenoic (DHA) or Omega-3 fatty acids. DHA is the predominant Omega-3 found in the brain. It can affect neurological function, synaptic plasticity (the junctions between neurons that allows them to communicate with one another), and neuroinflammation5. Furthermore, animal studies have shown that supplements with DHA, either before or after brain injuries, may produce faster healing times. In another important experiment carried out in 2016, researchers looked at the effects of DHA and brain injuries. They examined the use of DHA in American football athletes and found that DHA supplementation had a protective effect on the brain. The results of this study have prompted further interest in the area of Omega-3 and the important role that it might play in TBI’s –both before a TBI and after one. At least 5.3 million Americans live with a TBI-related disability1. Although the traumatic events that lead up to a TBI may be unavoidable, there might be something we can do to help minimize the damage that results from them. Adding Omega-3 to our diets could be one positive step we can take to help minimize the effects of a brain injury and lessen their impact. Are you wasting your money on one-per-day vitamins?